We are afraid to announce that it's possible that Ragnarok has started! 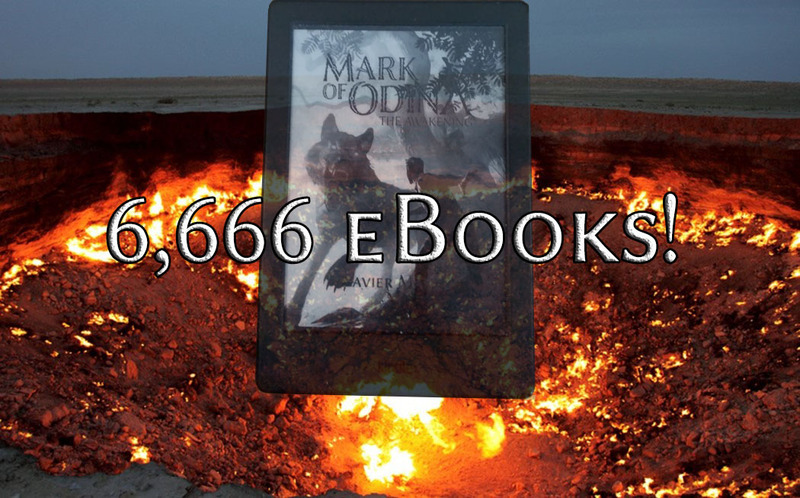 Hell's gates have opened just after Mark of Odin: The Awakening hit the cursed number of 6,666 ebooks purchased/downloaded from digital platforms. Only the bravest of men and women can save humankind! We need your help to break that number and seal again Hel kingdom! The Great Father Odin is watching you! Will you accept the challenge, beat the cursed 6,666 number and join the #MarkedbyOdin and discover and incredible story where modern times meet Norse Mythology and Science Fiction? We hope that you do and enjoy our small April's fools participation. If you liked the background of the picture, credits belong to Flydime and the picture was taken in The Door to Hell, in Darvaza, Turkmenistan.